Many people have questions about the safety and efficacy of hormone treatments. I provide individualized hormone treatment programs. Every patient undergoes our complete metabolic bloodwork panel; a physical exam including breast exam, and a full 90-minute initial intake to make sure that hormone treatment is safe and recommended for you. Here are some common questions, asked in our free 30 minute screening consults. 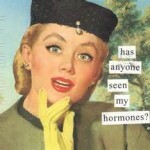 Will I need to stay on hormone treatment forever? Current evidence shows that estrogen and progesterone bioidentical replacement therapy is safe for up to 15 years. After 15 years the risk of hormonal cancers increases very slightly. I encourage our patients to follow their own instincts around the duration of bHRT. Many women reach a point where they want to try coming off the hormones, to see how they feel. (Many then come back on the hormones for the feelings of well being they provide!) 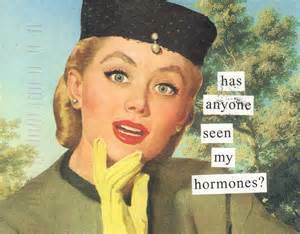 There is no “right answer” for the duration of hormones treatment; instead, your ongoing health and feelings of wellness may be the most important indicator to measure this. Bio –meaning, of the body and Identical meaning, exactly like = hormones that are exactly like those your body naturally produces. Generic and brand name hormones made by pharmaceutical companies all have biochemical additions to the basic hormone structures like pharma-signatures that make the drug patented (and profitable.) Bioidentical hormones are made as liquids, creams, troches, rapid dissolve tablets, injections or suppositories by a compounding pharmacy laboratory like Apothecary by Design to make them exactly like the hormones your body would naturally be producing. Drug companies cannot make money off of this form of hormone because they are universal; therefore their use is discouraged by big pharma. We know that bioidentical hormones are the safest, most effective way to replace hormones in your body. We only use compounded, bioidentical estrogen, progesterone, and testosterone at Age Management Center. The Women’s Health Initiative study in 2001 did show an increased risk of not only breast cancer, but also heart disease in women taking the medications in the study. What is KEY here is that the hormone medications used in the study were the horse-based estrogen Premarin and a synthetic version of progesterone called progestin, brand name Provera. The study was separated into just Premarin users and Premarin + Provera “Prem-Pro” users. The Provera Rx was clearly indicated as the causative factor for the increased risk of breast cancer in clinical data. In further studies on bioidentical progesterone it has been evidenced that 200 mg of bioidentical progesterone is actually protective against the development of breast cancer. It was the synthetic pharmaceutical analogue Progestin that is linked to cancer development, not either bioidentical estrogen or progesterone. Having said that, if you already have an estrogen positive cancer growing in your body, additional hormone replacement therapy can feed the tumor growth. We encourage all of our patients to get screening mammograms yearly during menopausal hormone replacement therapy, and actively support anti-cancer nutrition and antioxidant supplementation as part of our treatment protocols. What about heart disease in women and estrogen use? One of the most surprising results of the Women’s Heath Initiative was the increased risk of cardiovascular health issues like blood clots resulting from plaque rupture in women using Premarin. Estrogen is in fact protective for the cardiovascular system as it increases elasticity in all systems including the blood vessels. More elastic, flexible arteries means healthier blood flow. However, when combined with risk factors for atherosclerosis (plaques in the arteries) like elevated cholesterol, high blood sugar, smoking and being overweight the benefits and the risks need to be weighed to assess what is best for each woman. At Age Management Center our complete metabolic blood work panel and 90 minute initial consult is in part to ensure that your body is metabolically able to handle additional bioidentical estrogen, and that you are a good candidate for hormone treatment. Some women need to do additional metabolic and cardiovascular work to reduce risk factors before estrogen-based therapy is indicated. Oral estrogen (taken by mouth) was associated with more risk for plaque rupture than topical estrogen. We start all women on a topical mix of bioidentical estradiol and estriol plus additional progesterone to manage symptoms while navigating risk, ultimately improving metabolic and cardiovascular health for effective anti-aging. I thought testosterone was only for men? Want to know a secret? Testosterone is like magic for womens health. It is actually the most abundant hormone across our entire lifetime because our body continues to produce it after menopause (if all goes well.) Testosterone is extremely valuable for women’s health because it is the “vitality” hormone that leads to physical and mental strength, bone health, leadership qualities, sexual appetite, sexual satisfaction, mood stability and more. Testosterone levels naturally start to get lower around 40, but the adrenal glands take over testosterone production when periods stop completely. We see low testosterone in women of all ages; we use testosterone supplementation in most of our menopausal treatments, because it helps you feel great! This hormone has been part of menopausal treatments since 1937. There is not much excitement generated about it in traditional medicine because who wants strong, sexual, healthy, happy, active, passionate postmenopausal women? I do! My job is to replace and optimize hormones to their natural levels. When testosterone levels are optimized for your body, it is unlikely you will have complications like black facial hairs, voice lowering, acne, or other classic side effects. However, this of course depends on your genetics and sensitivity to hormones. We start with the lowest possible dose after our thorough initial exam, an adjust dosages based on your personal experience plus laboratory testing. If you happen to be someone who does have side effects like facial hair or pimples, these are immediately reversible by lowering your dose. At Age Management Center I also provide transition support for transgender and transsexual individuals. These dosages of hormones are significantly higher than doses used for hormone replacement, and do have permanent and reversible side effects that are usually considered desirable by the people using them. Age Management Center is a concierge medical practice. We offer the best of modern regenerative medicine, guided by cutting edge evidence based research, in a relaxed, comprehensive manner. Our hormone programs are simple. Once a month fees include all doctor visits, emails, and phone calls, as well as your administrative support and foundational hormones. We operate outside the insurance system so that we can offer the high touch personalized medicine that our patients have come to rely on. We do not bill insurance companies for our services; however we can give you an itemized “superbill” for your services that you can submit on your own for reimbursement. We invite you to come in for our free 30-minute consultation to learn more about our concierge medical programs and how these might work for you. Can I use my insurance for the comprehensive metabolic bloodwork? We prefer that our patients use our cash-based in house laboratory services as it allows for consistent lab results and lab values, speedy results, streamlined workflow and improved coordinated care. We thoroughly research the best prices for lab work, and pass those savings on to our patients. For example, our complete metabolic blood work is priced at $1800 through insurance billing. We offer it at $395, passing on our physician pricing to you. Many of our patients have tried to use their insurance to run the blood work, and with deductibles and co-pays have ended up paying at least $600-800 for the same work. Furthermore, many insurance companies and PCP’s will not cover some of the hormonal blood work evaluations we consider crucial to accurately understanding your metabolic and hormonal health. By having all of your blood work arrive in time for your initial visit, we are better able to serve you in a timely and effective manner. Laboratory, physician and clinical services can all be claimed as health expenses on your taxes, and can be part of your deductible. Can I use my Health Savings Account or Flex Spending Account? Yes. Age Management Center services are billable through HSA and FSA’s.